Happy Chinese New Year! Today we leave the year of the Dog behind and start the year of the Pig. That is right, the Chinese Calendar has an animal for every year. Do you know in which year you were born? 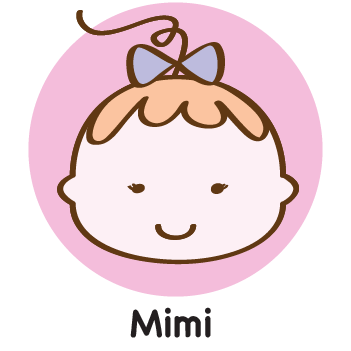 Tomi and Mimi were born in the year of the Snake and the year of the Monkey. The Chinese Calendar has 12 Animals. Every year has an animal connected to it, that means 12 years. After 12 years the first Animal comes again and after that the second, third etcetera until all 12 have come around. This is called the Chinese Zodiac. The first animal of the Chinese Zodiac is the Rat, after that the Ox, then the Tiger, Rabbit, and even a Dragon! After that the Snake, Horse and Goat. The last few are the Monkey, Rooster, Dog and the Pig. You can see now that the year of the Pig is the last one of the 12 year cycle. Next year the first Animal will start again, the Rat. 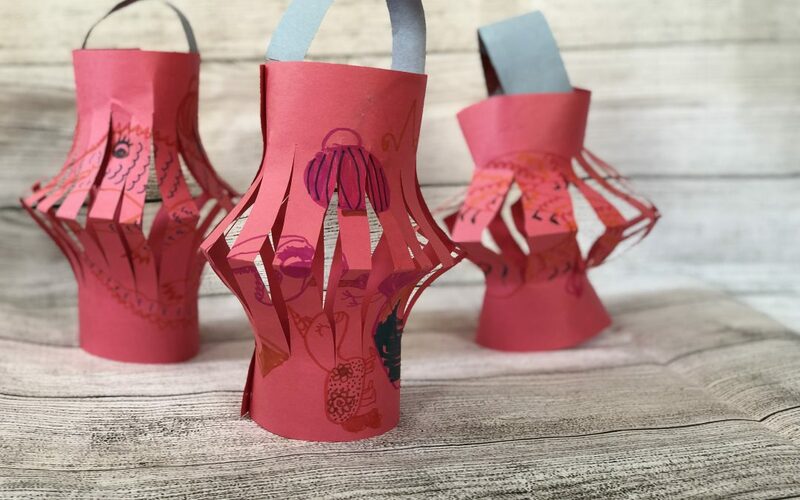 Tomi and Mimi made these cute Chinese Lanterns for Chinese New Year. It is very simple and a nice quick craft for at home. You just need some sturdy paper, scissors, glue and some markers or paint to decorate. Tomi and Mimi also visited China. Have you seen their adventures with the Giant Pandas? Click here to read all about it. 1) Fold a sheet of crafting paper lengthwise in half. Then unfold. Tomi and Mimi choose red. 2) Make a lovely drawing on your paper. Tomi and Mimi made dragons and Chinese Lantarns. You can also draw a Pig, because it is the year of the Pig. 3) Now fold again along the line you made before. Place your paper with the fold towards you. Cut single cuts starting from the fold. Leave about 1-1/2 inches from the sides and the top. Space the cuts about 3/4 inches from each other. 4) Unfold and glue the ends together. You can also glue a handle at the top. Tomi and Mimi really liked their Chinese New Year Lantern and hope you enjoy it too!